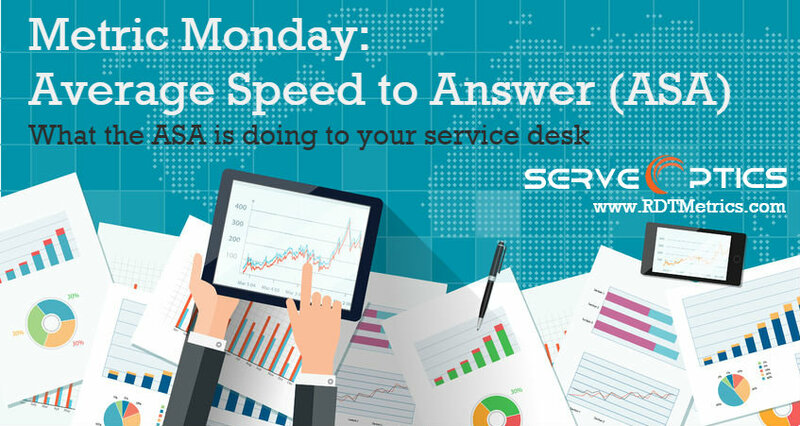 This article examining the service desk metric Average Speed to Answer(ASA) is the first in a series that explores and explains the various metrics and KPIs service desk managers use to measure the effectiveness of their operation. At the highest level, effectiveness is measured based upon two criteria. The first is a binary measure: Is the service desk operating within the established budget? The second: Is it contributing positively to maintaining or increasing customer satisfaction with the brand or the company? While this measure may be tied to a company’s specific “customer satisfaction index,” that target value can fluctuate over time as the company encounters competitive forces, or as it rolls out new products that spur additional call volumes. We’ll begin this series with one of the fundamental metrics that every service desk monitors. The ASA metric is a mean value that measures the time callers wait for a service desk agent to make first contact. ASA = (total time callers spend waiting to speak with an agent during a specific period) ÷ (total number of calls during that period). The time spent waiting does not include the time callers spend navigating through an IVR, or setting up a chat window to communicate with an agent. Waiting time is strictly limited to the length of time a caller spends in a queue before an agent makes his or her first response. For callers on a phone line, waiting time begins once they are placed into the queue. It ends when the agent picks up the call. In a chat scenario, it begins when the chat window is established and ends when the agents greets the customer. Service desks often capture separate ASAs for each communication channel. ASAs vary greatly across the service desk industry. What may be an acceptable ASA for one service desk may be intolerable for another. The period of time during which ASA is measured can have a dramatic impact on the ASA value. For instance, if on-hold times are tallied for, say, each one-hour period of the day, the ASA will reflect different values than if it were measured over an eight-hour period. A given caller between 8 AM and 9 AM may have to wait on hold for an extended time if a flood of callers dial in during the first hour of the day. Some of those callers’ wait time become an abnormality, an outlier, that skews the mean value of the one-hour ASA upward. If the service desk were to use an eight-hour period, the outlier would not affect the overall mean as dramatically as it does with a one-hour reporting period. Consequently, it is important to consider the time period you establish for ASA measurements. Long wait times can hide the outliers and affect customer satisfaction. They can also mask below par performance by certain agents, although by themselves, ASAs cannot identify those agents who need to improve. As noted, long waits in a queue, while not a direct measure of customer satisfaction, do negatively impact it. In turn, that can affect sales, increase the likelihood of poor online reviews and damage the brand. Long wait times can also increase the call abandonment rate when callers decide “I can’t wait any longer.” In a sense, call abandonment—a metric we’ll discuss in another article—is the ultimate illustration of a caller’s frustration with long ASAs. Another problem that poor ASA scores aggravate happens when the caller finally reaches a first-level agent only to find a second- or third-level agent is needed to provide the answer. The already-unacceptable ASA can lead callers to complain, further reducing the efficiency of the service desk. The two highest level service desk success criteria—operating within budget and maintaining or improving customer satisfaction—are measured by several metrics. ASA is one of the most important. Once you have defined the parameters for measuring ASA, the best way to monitor this critical metric uses a software system that provides real-time dashboards as well as reporting capabilities. It should consolidate data from multiple technology sources to provide actionable management information with which you can make informed decisions and fine tune your operation. 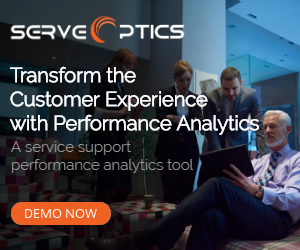 Service Desk Metrics vs. KPIs and Analytics - What is the Difference?